The Great Highway is a fine art gallery located in San Francisco’s Outer Sunset district. The gallery was founded in 2011 by John Lindsey, a long time resident of the city with a deep appreciation for images and ideas that explore the intersection of land and water. The Great Highway Gallery’s mission is to support and promote the work of a diverse group of artists who seek sincere authenticity, challenge conventional thinking, enlighten us. 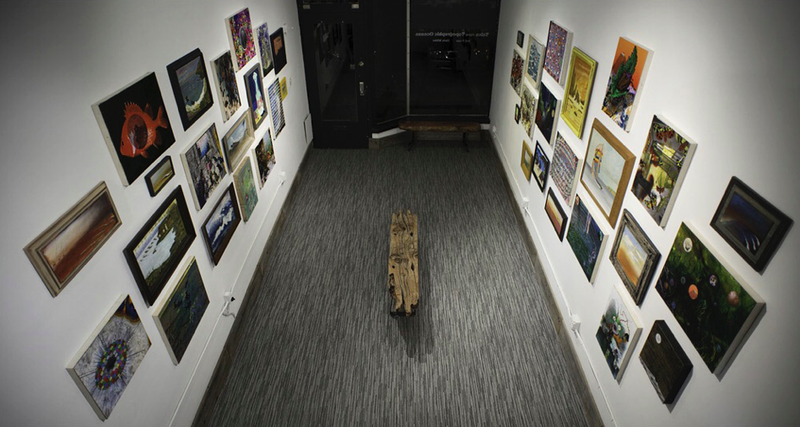 We feel that the gallery’s physical space allows for a unique and deeper interaction than one found only on our devices, at the same time we facilitate and encourage exhibiting and connecting artwork through newer technologies and communities. The Great Highway also has a working studio that works with clients and artists to create the finest quality pigment prints possible and to educate on the methods of digital print making. We print using the latest inks and offer numerous paper choices including: photo paper, canvas and archival papers like cotton rag and bamboo. We also offer framing, finishing, scanning, image correction, and private instruction. Do you have a vision? Do you have a story to tell? Our artists are available to create unique original art work for your office, home, commercial or public space. Sunday through Wednesday we open in a very confusing and irregular manner. If you happen to be in the neighborhood and see the lights on, please do drop in and say hi.